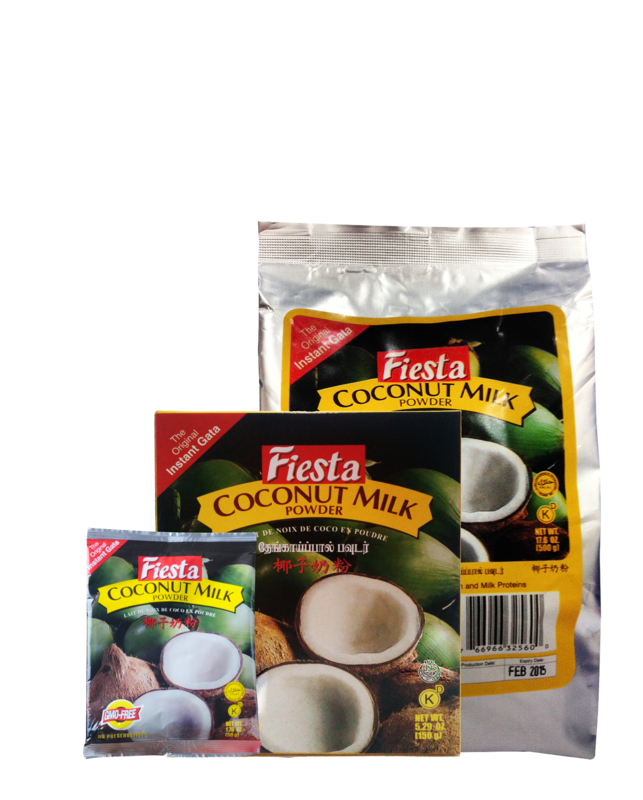 RETAIL PRODUCTS – Axelum Resources Corp.
Fiesta Coconut Milk Powder is a creamy white powder produced from freshly squeezed coconut milk blended with natural stabilizers to facilitate spray-drying. It is a unique product that comes into four (4) different pack sizes, from pack size of 50 grams in pouch, 150 grams pouch in a box, 500 grams pouch antd 1 kg pillow pouch to perfectly address the need of food service chefs and busy homemakers. 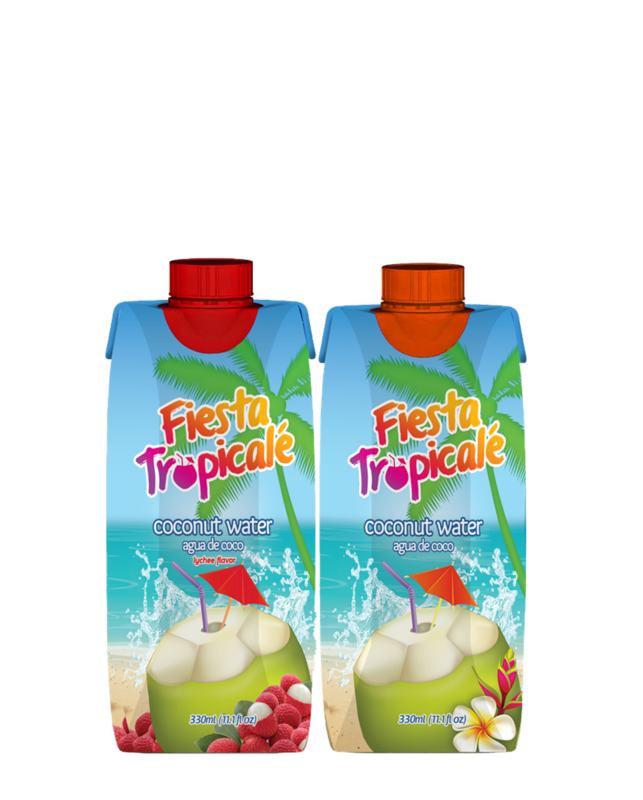 Fiesta Tropicale Coconut Water is the liquid from inside of fresh coconut, processed using advanced UHT-technology to preserve the refreshing quality and flavor of natural coconut water. 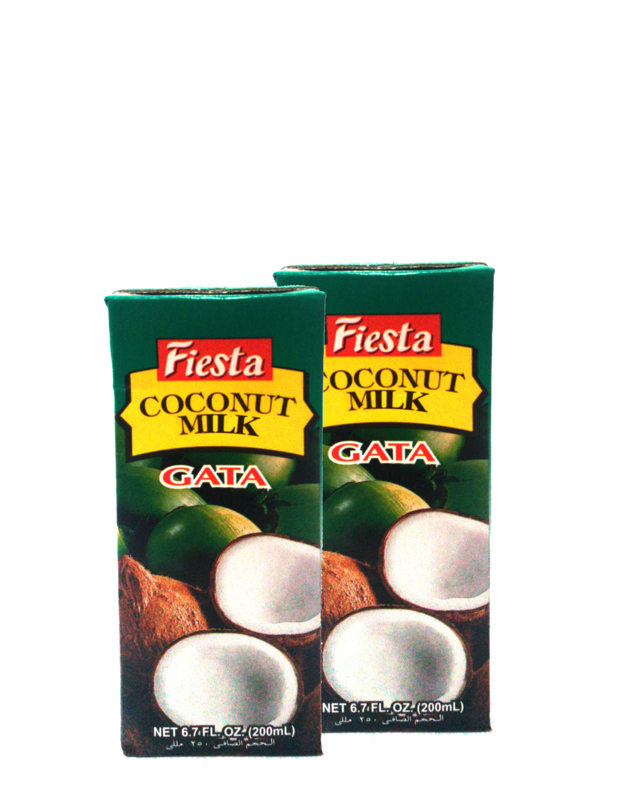 It comes into variants, the Fiesta Tropicale Coconut Water Natural and Fiesta Tropicale Coconut Water Lychee Flavor, packed in 330 ml tetra prisma in a carton of 12 bricks. It makes a delicious thirst-quenching drink and can be used as a juice base for beverages where it is mixed with other fruit flavors. Fiesta Romantika RBD Oil packed in 1 liter PET bottle. It is prepared from carefully selected and processed crude coconut oil. 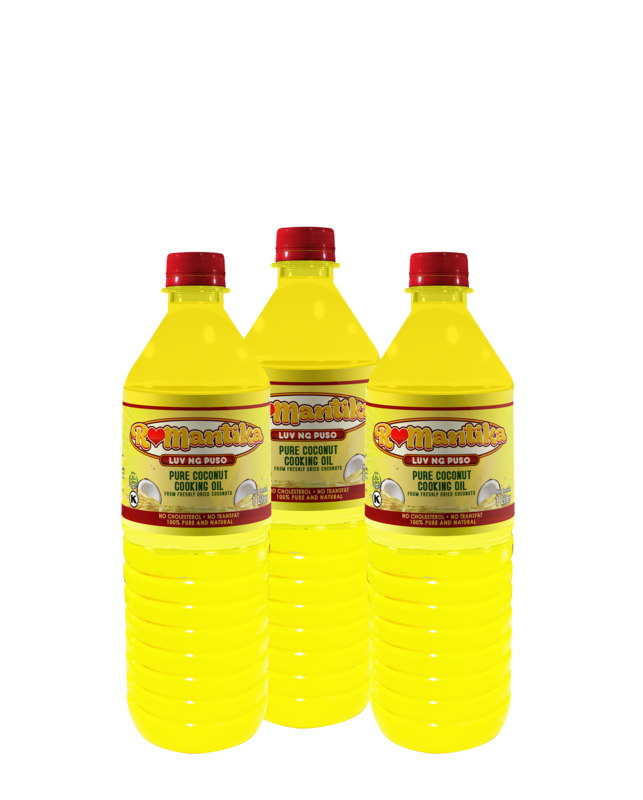 It has undergone special refining process to remove all impurities and prove good resistance to oxidation during frying or cooking. Its light color, bland taste, and lack of off-flavor impart superior tasting and keeping qualities on finished products.